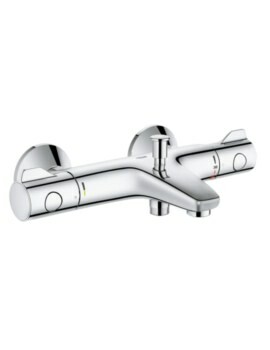 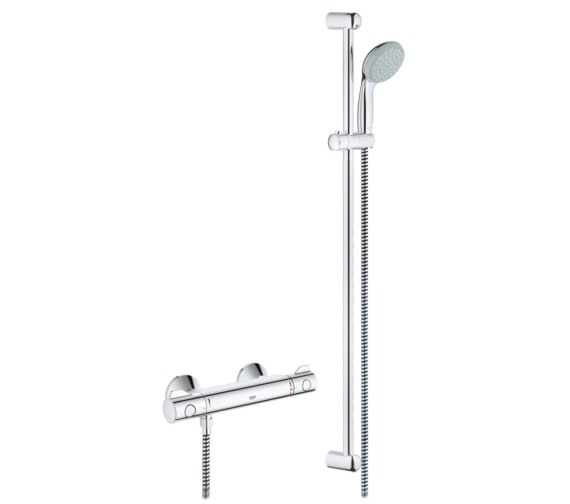 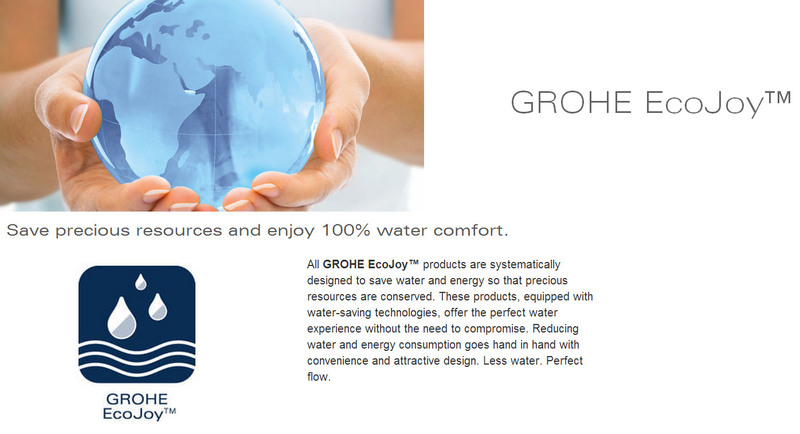 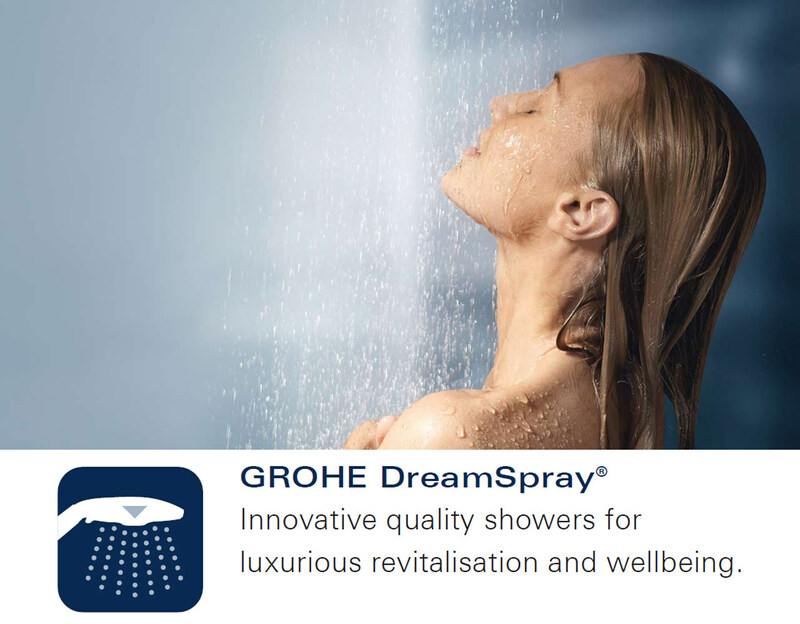 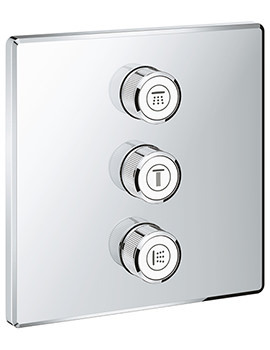 The Grohe Grohtherm 800 Shower Mixer Valve combines smooth curves and latest thermostatic technology to create a highly functional and attractive shower space. 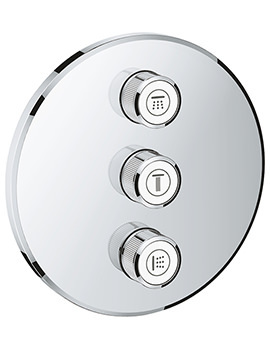 The cylindrical mixer is equipped with dual controls for flow and temperature, giving smooth and accurate control over both. 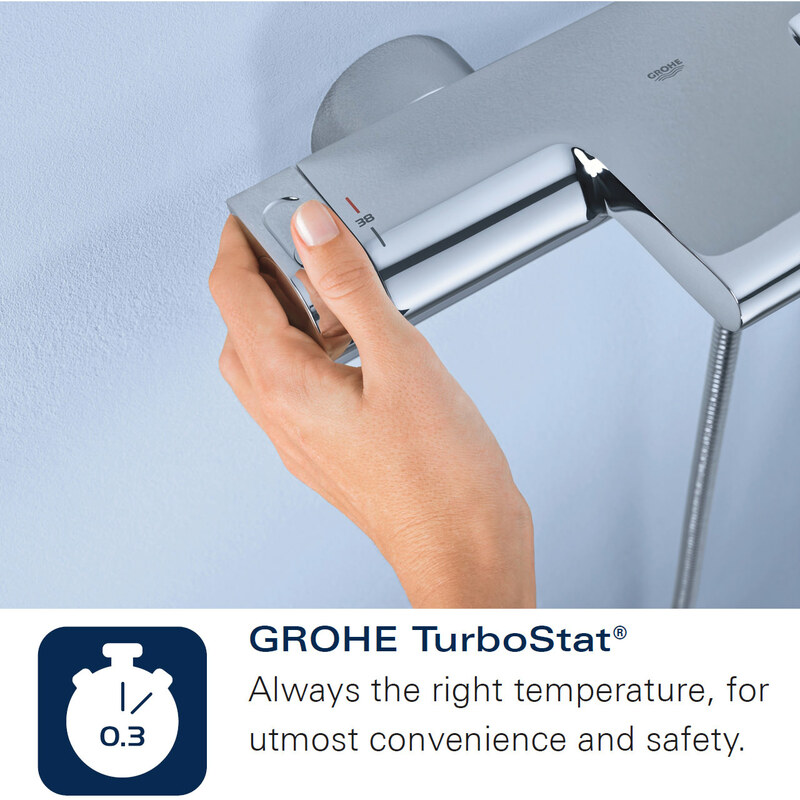 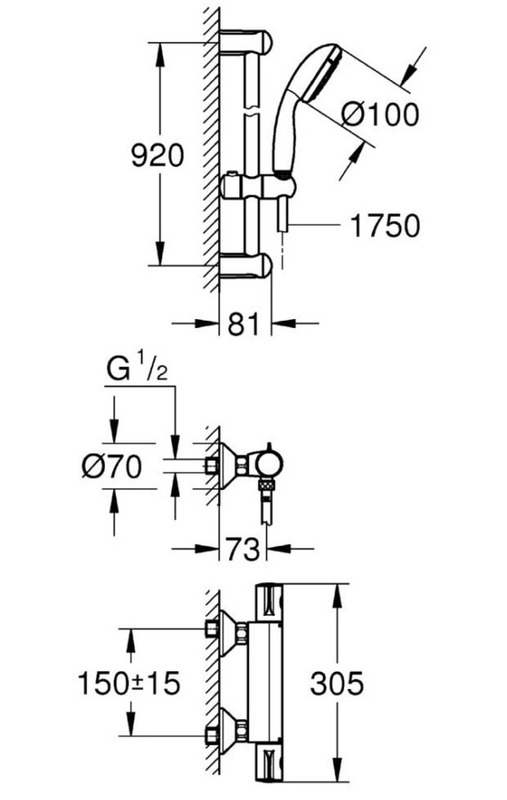 Also, the valve has a SafeStop feature which sets the safe temperature at 38 degrees to prevent scalding. 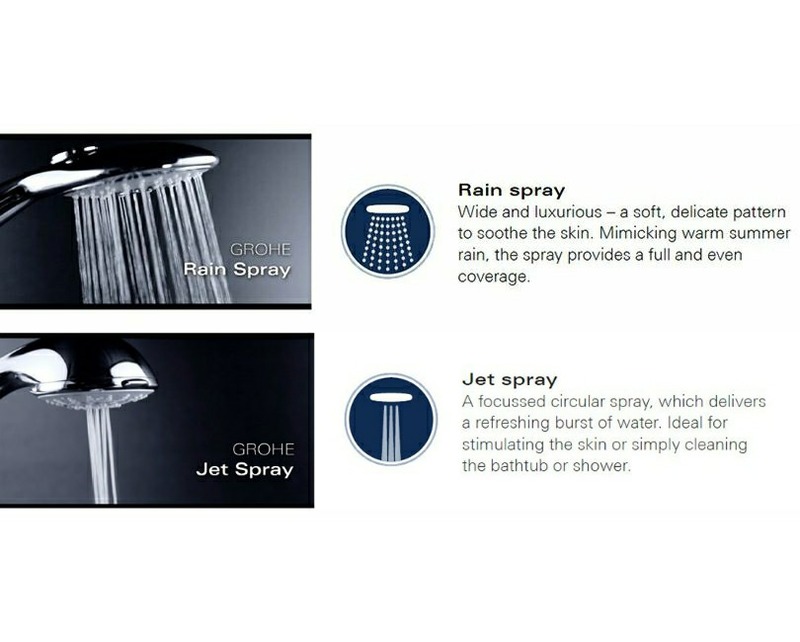 A lengthy shower hose and a paddle-shaped handset with dual spray patterns allow for a thorough and invigorating showering experience. 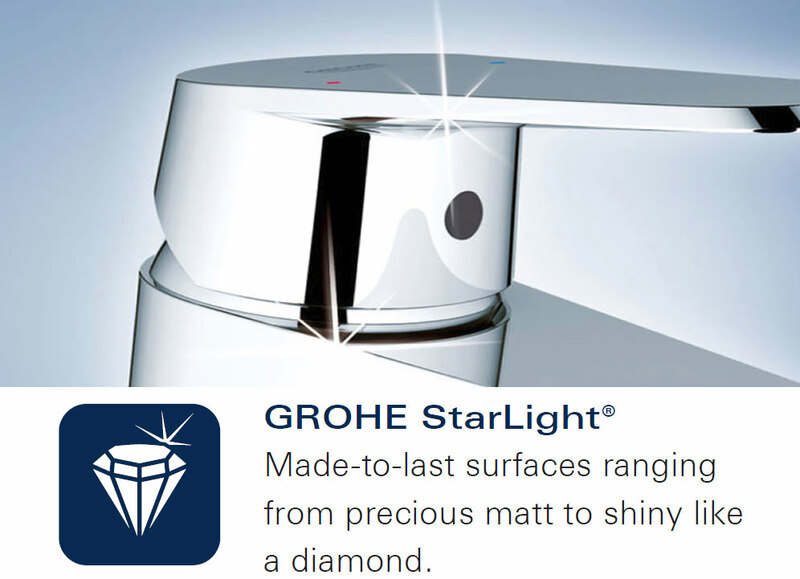 The ShockProof silicone ring protects the hand shower from damage when dropped. 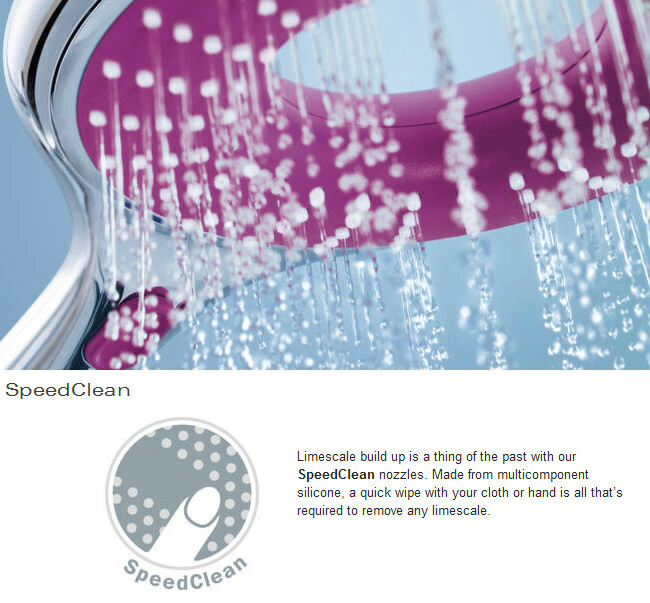 With the SpeedClean anti-lime system, any limescale residue on the nozzles is easy to remove with a gentle wipe of the hand. 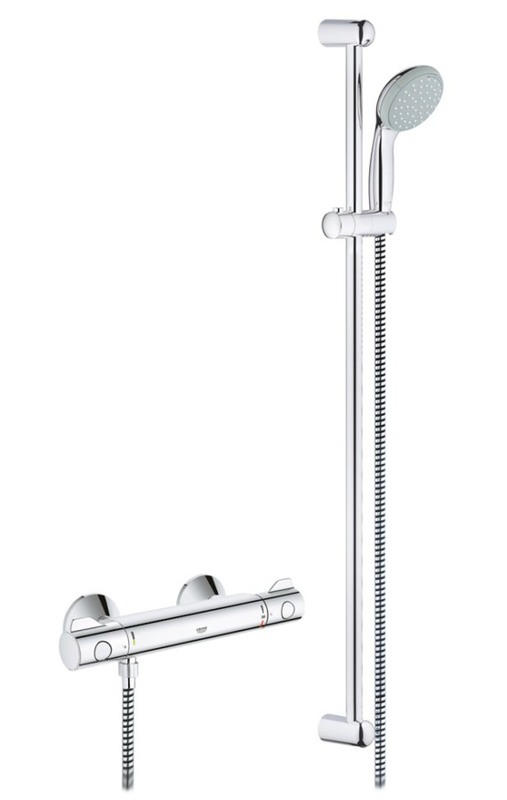 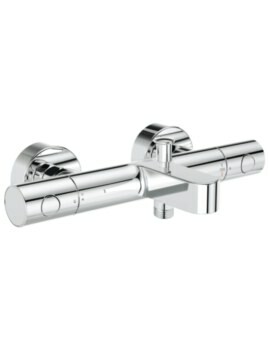 The height-adjustable rail with glide element and swivel holder provides comfort and convenience.